The Grave Keeper and the Raven Lord are engaged in a classic battle of evil versus… different evil? Protective magic shields your Core from enemy Heroes, but nothing will save you from these two masters of the dark arts. Hold the Bell Towers, capture the Altars, and unleash your wicked benefactor’s power on your enemies. 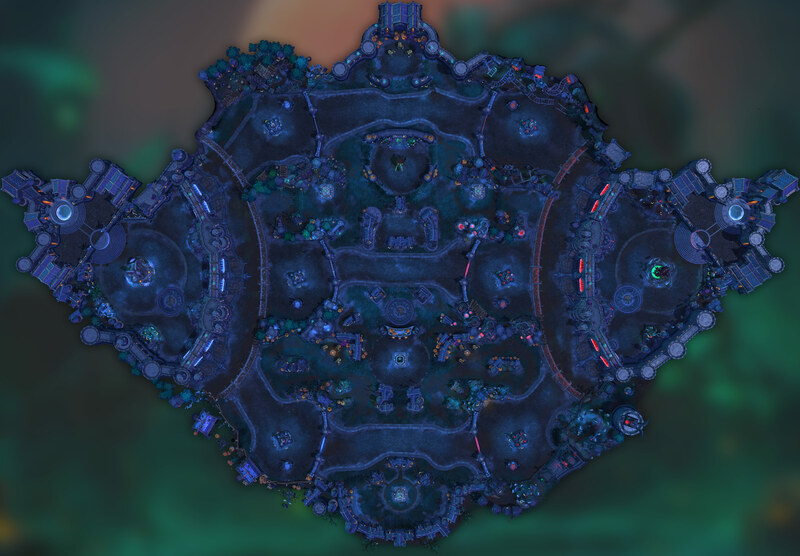 Altars of Doom Capture the active Altars to deal damage to the enemy Core. Fortification Upgrade Forts to Keeps, Fountains and Towers stronger. Tunnels Tunnels open from the Core to the map center. Sapper Camp Sapper (Siege) Camp spawns. Spawns at: 00:01:00 Respawns 00:02:00 after the Camp has been captured. Headless Horseman Headless Horseman (Boss) spawns. Seemingly Immortal, Defender of the Haunted Mines. Sworn enemy of the Raven Lord. The Horseman rides again! It's no chore, to bring destruction upon the enemy core! HAAAAAAAAAAAAHAHAHAHAHAHAHAHAAHAAAaaaa!! Also known as Oberon, he's the ruler of the Raven Court, and on a crusade to dominate or control all realms of the Nexus, in order to, seemingly, protect it from an unknown threat. Highly dissatisfied with the path his daughter, Orphea, has taken.